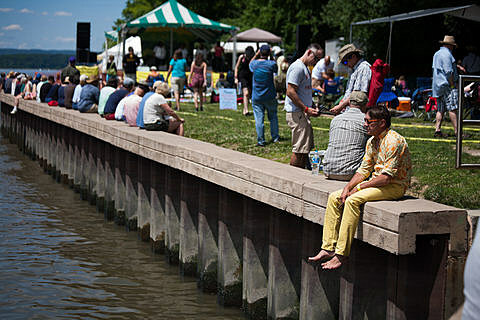 Croton, NY’s annual two-day folk fest Clearwater Festival returns this year from June 20-21. The initial lineup has been announced, including Neko Case, The Felice Brothers, Guster, Ani DiFranco, Bela Fleck & Abigail Washburn, The Blind Boys of Alabama, The Lone Bellow, Los Lobos, Tom Paxton, Bettye LaVette, Joseph Arthur, The Felice Brothers, The Mavericks and more, plus still more TBA. Tickets are on sale now, and children 12 and under get in for free. The festival was founded by Pete Seeger and he used to perform every year before sadly passing away last year. Last year’s fest had a few tributes to him.